The greenhouse horticulture trade fair HortiContact introduces a completely new layout for the 2020 edition. The new playful layout boasts several themed areas (HortiPackaging, Soft Fruit Experience, Fossil Free, Cannabis, Innovation Zone), offers more room for innovations and knowledge sharing and should provide more interaction. A major change is also the top floor that will be converted into one large additional exhibition floor this summer. "We are noticing a shift in the reason for visitors to come to a trade fair. Visitors no longer only come for a contact moment, but they also come for new knowledge, want to see innovations and attend lectures. And more importantly, they especially want to experience. The current floor plan did not allow this enough", explains Mariëlle Schonewille, Head of Horticulture on behalf of exhibition organizer Easyfairs. "With the new layout of the exhibition floor we create more experience and different possibilities to gain new knowledge, highlight hot items and show innovations. We set up various theme areas and network lounges. There will also be food plazas that increase the experience in a positive way. In addition, with this new layout we want to make the exhibition for the international market even more interesting. Furthermore, we have expanded our exhibition team and strengthened it with Ceoray Rozenboom, she is the new point of contact for HortiContact 2020", says Schonewille. The news of the new exhibition floor layout for HortiContact 2020 has been announced on the eve of the 2019 edition. 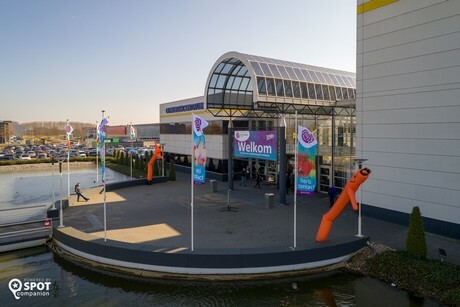 The exhibition for greenhouse horticulture in the Netherlands will celebrate its sixteenth edition at Evenementenhal Gorinchem on Tuesday 19, Wednesday 20 and Thursday 21 February. During this edition, EasyGo will be introduced to exhibitors and from 2020 it will be part of the exhibition concept. This service package contains a wide range of marketing tools that allow the exhibitor to get even more out of the trade fair participation and make it even easier for the visitor to gather information during the fair visit. For over 15 years HortiContact has had an average of over 500 exhibitors and more than 14,500 visitors. Visitors to HortiContact mainly come from ornamental, vegetable and fruit growing (in greenhouses). 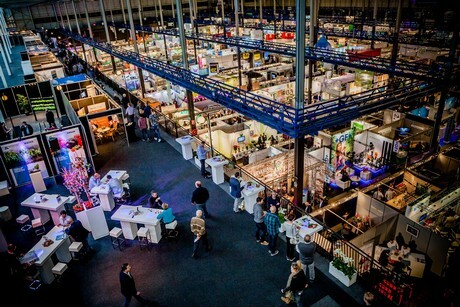 The trade fair can be visited on 19, 20 and 21 February 2019 from 1 pm to 9 pm in Evenementenhal Gorinchem.